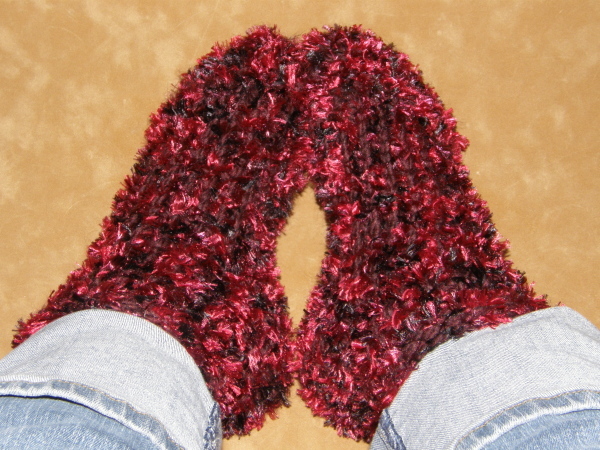 First of all, I’d like to share with you my newest pair of Chunky Slipper Socks …they’ve been pretty much glued to my feet ever since I finished them, lol. Their coziness is just too much to resist! Next on the list of goodies is this sweet little tiny sock I made as soon as I opened my box which contained my new Sock Blockers from dalooms… which I was so excited to hear that they are now selling these babies! 🙂 I made the sock on their little tiny loom to fit the cute little sock blocker key chain I got with purchase…sweet! Well…I’ve actually got a couple more items completed, but I’m waiting to share those with you until my…yep, it’s that time of year again! My 2nd Blogiversary Party!!!!! 😀 I’m super excited and have been making plans, plans, and more plans. I just hope I can hold it in some manner of convenience as we should be moving sometime this summer, I’m hoping in July…which is the month for my Blogiversary. We could actually hold the party in the first part of August, since the official date is July 30th. We’ll see…I’ll keep you all posted for the exciting news. 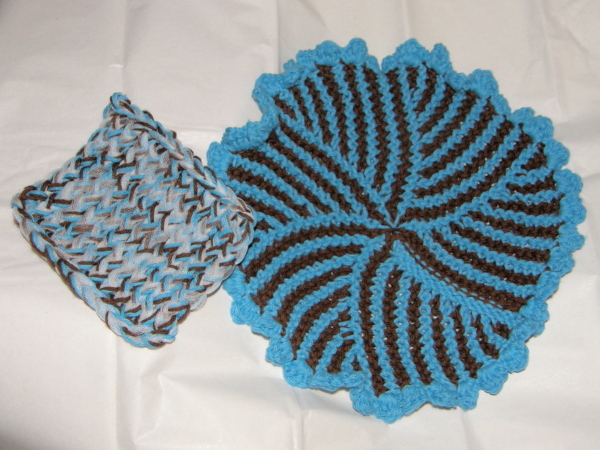 This entry was posted in Blogiversary, Knitting, Loom Knitting, New Projects. Bookmark the permalink. 5 Responses to Finished Items Friday! Fun yarnie goodness 🙂 I love the little sockie! I’m going to have to make one. Have a great day! Very cute Bethany!! You always do amazing work!! I love all your yarny posts. The socks look so comfy. I love the tiny sock and sock blocker. I got mine a while ago. 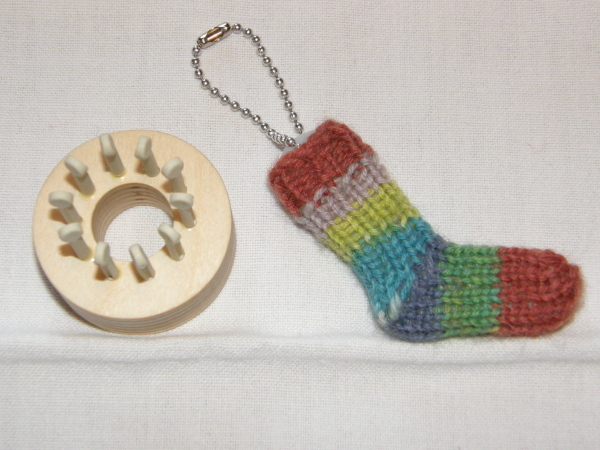 Time to make another tiny sock, those were fun.The circle cloth colors are great and the scrubby is so useful. Good luck on finding the ‘just right’ house and moving. My son just got the keys to his first house and will be moving on the 4th of July due to PhD test on July 1st. He must be out of the apartment before the 5th or else he wouldn’t do it on the holiday. Maybe this way he will get more help than me and his two brothers. I sure hope so (it’s 100 degrees here now).